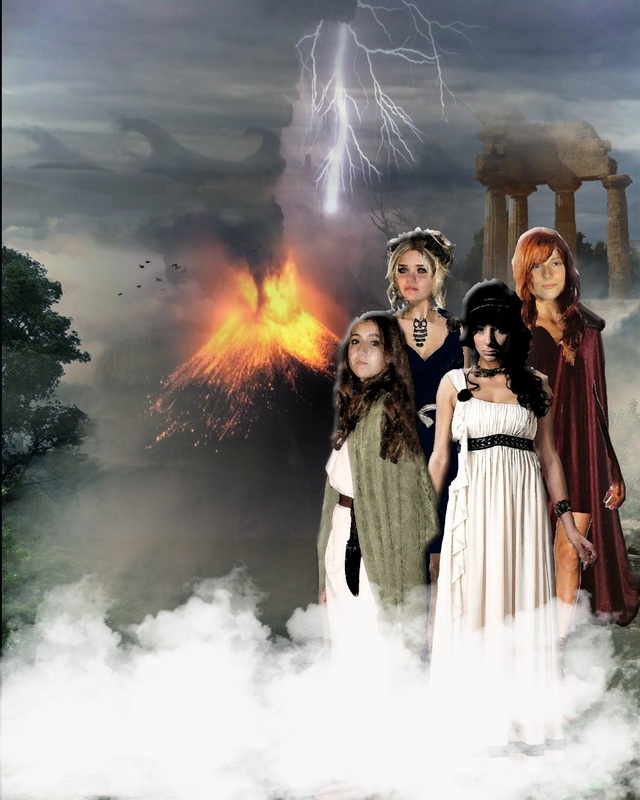 The inspiration for my young adult series was, "What if real people inspired the Greek Gods? What would their world look like? Who were they?" I created a world in which fair-haired Titans invaded the Greek Island of Helios (based on Rhodes) and built a stronghold called Mt. Olympus. In order to earn a seat on the ruling council of Mt. Olympus, the younger generation must undergo a survival exercise on a remote, unpopulated island. I decided the test would last four weeks and each week would follow a different character's point of view, a sort of POV relay race. When I finished the first draft of the first book in the Mythikas Island series, I knew something was missing. It had life threatening danger on a self-destructing island, a ticking clock, plenty of antagonism, and deepset interpersonal conflict. But the story didn't really come alive until I introduced the internal conflict layer. The Greek myths are full of rich material. I developed a backstory by twisting a tale from each goddess's mythology into a personal growth arc. Each girl has a personal "ghost" they must lay to rest as the challenge progresses. The island is a place of extremes. Isolation, constant danger, and distrust boil and seethe along with the island, blurring the line between reality and insanity. Are they dealing with actual ghosts or just being "haunted" in the mind? In Book I: Diana, (I chose to use Diana instead of Artemis for artistic reasons.) I chose the tale that Hera sent Python to prevent Leto from giving birth on Mt. Olympus. I decided Hera sending a snake to kill Leto would become the backstory that "haunts" Diana. In Book II: Persephone, I played with the story of her abduction by Hades. In my story world, Persephone is abducted by Hades as a child and sent away to be raised by her grandmother, Gaia (the deposed wisewoman of Helios). 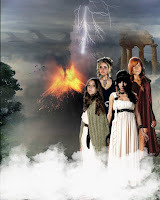 Persephone has been taught to hate the Titans but must go as a healer to keep them alive in exchange for Gaia's life. In Book III: Aphrodite, I was inspired by Aphrodite's love for Adonis. Nothing is as it seems on Mythikas and her love story is no different. Is Adonis truly the love of her life or is she a means to an end? Is he really there or is she hallucinating? Aphrodite as an unreliable narrator was fun to play with. In Book IV: Athena, I decided to use her friendship with Pallas. In my version, Athena accidentally wounds and kills her best friend Pallas while sparring. As team leader, Athena's guilt drives her. No one else can die on her watch. By facing down the ghosts from their pasts, the girls are able to resolve their issues and move forward with hard won wisdom. I do enjoy a good ghost story, but there are other ways to utilize the concept of haunting to motivate your characters. If you have used ghosts or haunting in a unique way, share it with us in the comments. It's a great way to add to characterisation. Even something minor can haunt a character and colour their responses to situations and other characters. Also playing around with whether the reveal is made early in the book or towards the end will change the story experience for the reader. For each girl, the answer to the question is different. It was fun to twist it around several ways. It is always fun to play with myths, legends and old stories and put a new twist on them. A neat exercise I did once was write a short story using the theme from Goldilocks and the Three Bears. That turned into The Visitor, which readers seem to be enjoying. Interesting post on what sounds like an interesting series. I'm sure it does well. The second book in my Diana Racine series is full of mythology. When I named her in the first book, I mentioned Diana, Goddess of the Hunt, and Goddess of the Moon, which turned out to be the name of the book. There's a lot of material in mythology. I've never used a ghost, but I've thought of it for a follow-up book, and since they take place in New Orleans, that's some great background. People are fascinated by the idea of ghosts, and many people believe they exist. I'm getting so I won't count anything out. Characters can believe in ghosts even if we are skeptics! Sounds like you put a lot of thought and effort into creating your mythical world!